Travelers at a New Jersey airport witnessed a massive fire as more than a dozen cars in a nearby parking lot went up in flames Thursday. 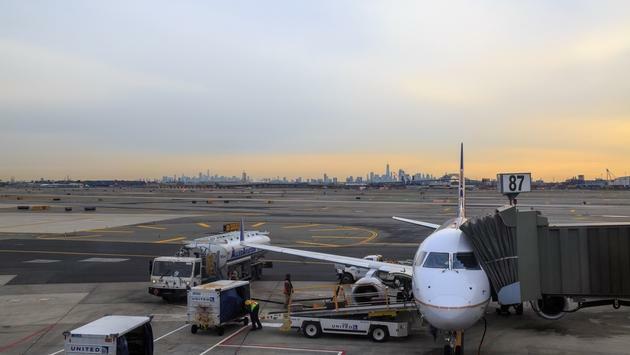 According to the New York Daily News, the Terminal C parking garage rooftop at Newark Liberty International Airport was officially closed at 7 a.m. ET due to a fire that spread to at least a dozen vehicles and sent plumes of black smoke into the air. Officials from the Newark airport said the Level 1 arrivals area was closed and asked passengers heading to the facility to use Levels 2 and 3 for passenger pick-up. The cause of the fire was not immediately apparent, but no injuries were reported. Video of the fire was shared on social media. BREAKING: At least a dozen cars on fire at #Newark Airport. The Port Authority of New York and New Jersey said airport operations were running as usual. The blaze at Newark Liberty International came just hours after a fire tore through a paper plant in Bergen County, New Jersey, just minutes away from the airport. The massive inferno burned for hours Wednesday night into Thursday as firefighters battled freezing temperatures.